This article is a step by step breakdown on how to change the Step Labels. 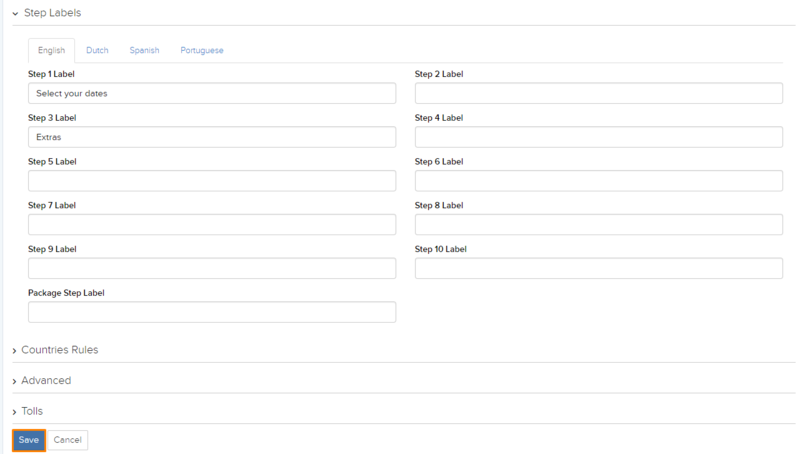 You will usually do this so that you can have different labels for the different languages as well. Firstly, navigate to Setting > Car Rental > Text Settings tab as shown in the picture below highlighted in orange. Here, scroll down till you see the Steps label as like in the picture below. Here, if you have different language enabled, you will see the different language tabs highlighted in orange in the picture below. In this next step, firstly select the language that you want to change in by selecting on the respective tabs. Next, in the different labels, type in what you would like to see in that particular label as shown in the example highlighted in orange in the picture below. After you have done filling up all the step labels that you would like to change, click on the blue “Save” button located on the bottom of the page highlighted in orange in the picture below. 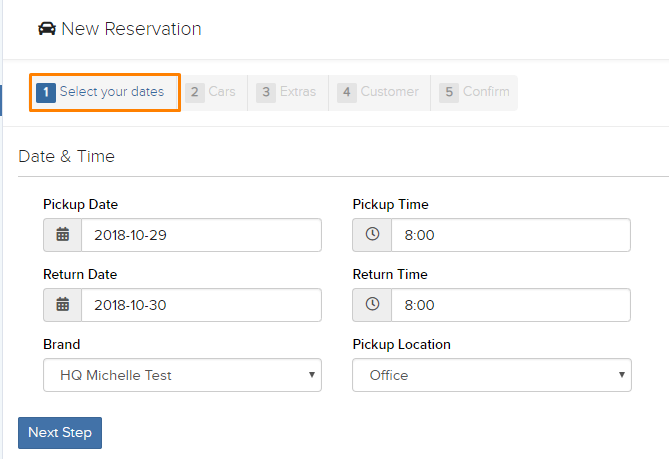 Now when you do a reservation, instead of seeing the default label, you will see what you have filled. An example is shown in the picture below highlighted in orange. There are more places where you can edit the texts shown, you can follow this link here under Text Settings.